During 5th-17th April, spend $20 at any specialty retailer or $50 at Woolworths and you will receive an entry form to go into the draw to win a $500 Hamper of Retailer Goodies. Drawn April 17! Place your completed form with your receipt in the entry box near Woolworths! Terms & Conditions Apply. 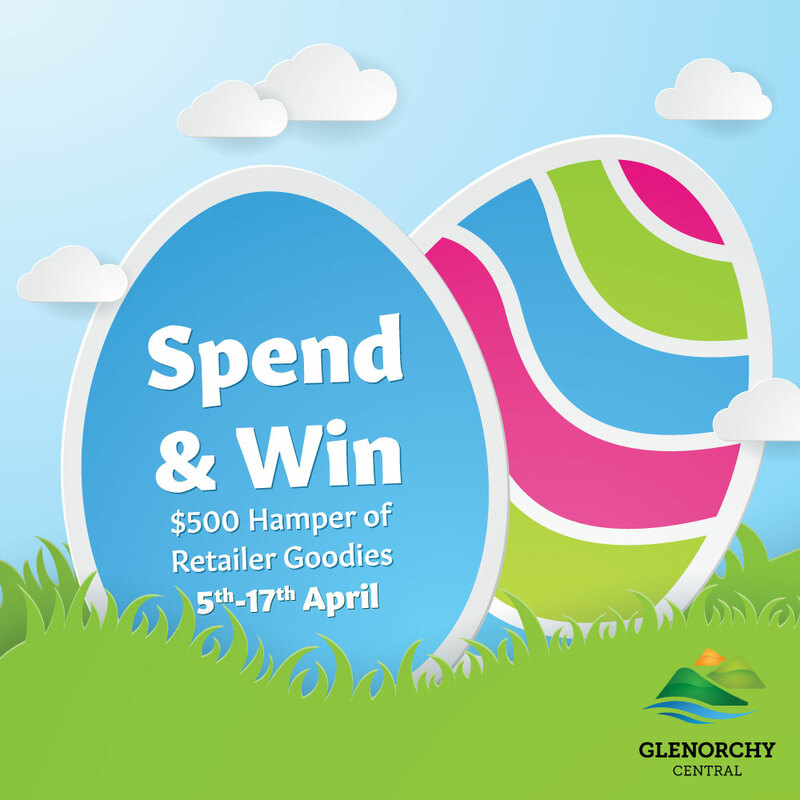 Please refer to the Easter Spend & Win promotional entry from at your local Glenorchy Central retailer.